A judge in Las Vegas has decided that Dr. Derek Duke, frequently employed by insurance companies as an independent expert, will not be allowed to testify in a personal injury case because of his bias against plaintiffs. The unusual ruling, based on an extensive review of Dr. Duke’s independent medical reports, raises questions about the kind of challenges to an expert’s credibility that can have an impact on the expert’s reliability. The plaintiff in an injury lawsuit typically relies upon his or her own treating physician to provide expert testimony about the cause and nature of an injury, and to provide a prognosis about the future impact of the injury, including the likelihood that the injury’s residual effects will be permanent. Since treating physicians are in the best position to evaluate injuries, their expert testimony is generally uncontroversial. At the same time, it is widely believed (particularly by insurance defense lawyers and claims adjusters) that physicians feel a duty to help and support their patients, and that their desire to do so may color their opinions. Treating physicians are not generally accused of giving false testimony, but they are often suspected of making a less than objective assessment of the injury’s present and future impact upon a patient. For that reason, insurance companies often employ an “independent” medical expert to provide a second opinion. In some cases, the independent expert largely agrees with the treating physician. Those cases tend to settle. In some cases, the independent expert has a genuine, fact-based disagreement with the treating physician. And in some cases, the perception exists that the independent expert is a hired gun who slants testimony to favor the insurance company. Finding the absence of any injury at all when a treating physician has documented an injury is unusual. Finding the absence of any injury 86% of the time is, as the judge noted, convincing evidence that Dr. Duke provided results-oriented opinions that were designed to benefit the parties who hired him. The court noted that Dr. Duke often attributed symptoms of injuries to the patient’s depression or other psychological conditions. The court was skeptical of Dr. Duke’s claim that, despite doing no neuropsychological testing, he was able to diagnose mental health conditions simply by talking to the patient. This is not the first occasion on which Dr. Duke has been barred from testifying. In 2015, District Judge Mark Denton also found that Dr. Duke was unable to give reliable testimony because of his bias. In a third case involving Dr. Duke’s testimony, a plaintiff’s attorney is suing Duke, claiming that he conspired with Allstate Insurance to interfere with an insurance contract because of his “extreme bias.” The attorney claims that Allstate refused to pay for surgery in reliance on Dr. Duke’s opinion that the surgery was unnecessary. 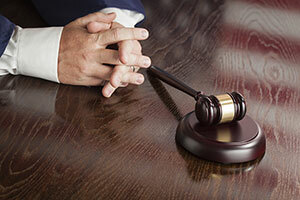 Many plaintiffs’ lawyers and some judges have criticized Allstate over the years for its aggressive refusal to settle claims, particularly when injury victims are represented by a lawyer. Those decisions illustrate the fuzzy line between an expert’s credibility (an issue for the jury to decide) and the reliability of an expert’s opinion (an issue for the court to decide). Nevada is not a pure Daubert state, but Nevada judges are charged with excluding expert testimony that is not based on a reliable methodology. Consistently substituting speculation and bias for an objective factual analysis is arguably an unreliable methodology that goes beyond disputes about the doctor’s credibility. This case is unusual in that the evidence of Dr. Duke’s bias was extreme. Most independent medical experts are either unbiased, or their biases are a matter of opinion that should be left to the jury. The court’s decision to exclude Dr. Duke’s testimony illustrates the rare case in which bias is so profound that it influences the independent medical expert’s methodology, making the expert’s opinions subject to exclusion by the trial court.